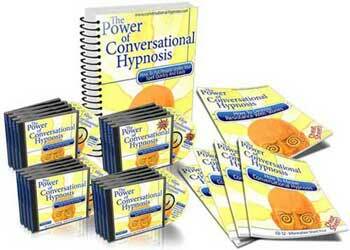 The language you use in Conversational Hypnosis is key to your success as a hypnotist. The Stealth Tactics you have been learning are important as you learn to implant your suggestions while bypassing the critical factor that causes the mind to reject or analyze what is not its own. As you continue to learn more concepts and principals of Stealth Tactics along with other language skills all the parts will start to come together to create a complete picture that is Conversational Hypnosis. The idea behind all the Stealth Tactics is to enter the mind unnoticed or overload the mind once you are there so you can leave your suggestion. When you learn to carry this out successfully you will have the ability to change lives and obtain your goals as a hypnotist. Implication is the next Stealth Tactic you will need to add to your arsenal of mind tools. Implication is largely based on the use of body language; however both body language and voice are at the heart of Conversational Hypnosis. Both of these elements must be mastered in order to accomplish the goals you have with people. In Implication you will see that anything you imply to a listener will automatically bypass the critical factor. The mind does not process and analyze implications they way it does things you say outright. If you make a statement a loud the very sounds of the words you use are instantly being checked by the critical factor for agreement. When an implication is made it is done so with body language and tone and is less likely to be checked and often is not at all. The reason for this is that it takes a vast amount of effort to analyze an implication. This doesn’t mean it never happens, however it is rare. For the conscious mind to analyze an implication there is simply more work and effort involved, many times people will not do this out of habit, too tired or just overloaded with information in the first place. Implications are very common, you use them everyday. They are statements you make that are accompanied by a certain tone, body language or look. How you use an implication is very important, especially in Conversational Hypnosis. This brings us to the Implication Tactics, which are simply ways of using the Stealth Tactic of Implication. The first Implication Tactic is called Implied Directives. This is the art of asking someone to do something without actually asking them a question. A good example would be to say, “I know you parked the car in the garage.” This is quite obviously a statement and not a question but when said in a specific tone it implies a question. The second Implication Tactic is to Create an Expectation. This happens when you use an implication to set up an expectation. A common example of this is when a teacher asks if her students have any questions. Often after one person has raised a hand and asked a question there will be others to follow. The teacher has made the implication and expectation that there are probably questions about the subject matter. The other students are following the set expectation by the first student to ask a question. It all has a pattern and a flow to it. The third Implication Tactic is the Tacit Authority. The concept behind Tacit Authority is to imply thing about you as an individual. This changes how people respond to you in different ways and environments. An everyday example of this tactic is when you visit the office of a doctor or lawyer and they have numerous certifications and articles displayed about the type of work and their successes. The items that are displayed don’t require the professional to tell you how skilled they are at their profession, but sets an expectation within your mind of the type of service you will receive. Many times charismatic people are very good at tacit authority. They are not inclined to brag about themselves they display their achievements and allow others to draw their own conclusions. Another way to use Tacit Authority is to tell a story and allow the listeners to draw conclusions about your personality from that story. If you tell a story about rescuing a puppy from a river, and make it believable, they will automatically assume you are brave and loving of animals. These three smaller tactics will help you in applying the Stealth Tactic of Implication. The main concepts here are to remember that in Implication you are using the tone of your voice, body language, mannerisms, things around you and facial expressions to imply a thing. Raised eyebrows, a change in voice, certificates and so on will all tell their own stories about you or what you are asking of the person. The implication is more believable for the simple fact that it is their own idea, they came up with a view of you that is all their own. You can steer that view and invite confidence, trust and comfort with the Implications you coax from them. Great post. Hypnosis is really a good way to cure without medicine.Your content helps people to understand the concept of hypnosis.